Their relationship with Russia is one of the most divisive issues among V4 countries. These divisions are also manifested in their vulnerability to the Russian influence. © NOEMI BRUZAK (PAP/EPA), Budapest, Hungary, February 17, 2015. Russian President Vladimir Putin stands on the terrace of the presidential Alexander Palace in Budapest. Among the V4, Hungary is the most exposed to subversive Russian influence in the areas of political leadership, civil society, public perception and state countermeasures. On the other hand, Poland is the most resilient to Russian power projection due to the high political and societal consciousness of the Kremlin’s actions, especially after the annexation of Crimea. The Czech Republic and Slovakia are slotted in between Poland and Hungary. The latter’s situation is strongly paradoxical: despite Hungarians’ pro-Western orientation and the government’s adherence to its obligations in EU and NATO structures, the political elite’s “Eastern Opening” foreign policy pursuing strong political and energetic alignment with the Kremlin also opens the door for political corruption. This influence is composed of three main layers: the political mainstream (current and former), far-right actors and radical extremists – mainly on the right, since the radical left is very weak in Hungary. In the following, we will provide you with an overview of the examples of Russian influence exerted through these groups. It came as a surprise on the sleepy summer day of August 15, 2014 that in its official communique, the Ministry of Foreign Affairs of the Russian Federation’s (MFA) accused the Hungarian government (its most important ally in Central Eastern Europe) of selling T-72 tanks to Ukraine illegally to escalate the Eastern Ukrainian conflict following the Crimean annexation. The interesting and rather new aspect of the story, at least in Hungary, was the uninhibited use of active measures in this foreign policy manoeuvre. The Russian MFA relied on an article published by an “alternative” extreme right site called Hídfő.net (“Bridgehead” in English) that published fake photos of the tanks and claimed that the “USA had asked” NATO members in possession of former Soviet military hardware to deliver weapons to Ukraine. This Russian mouthpiece, totally unknown to the broader public at that time, was founded by the neo-Nazi paramilitary group Hungarian National Front (Magyar Nemzeti Arcvonal – MNA) at the end of 2012.However, it was quickly transformed into the Kremlin’s geopolitical platform primarily used as a “Russian secret service messaging board,” as evidenced by the form and content of articles. To blow away any clouds of doubt about its real source and function, the website was put on a Russian server shortly after serving as the source of the Russian Foreign Ministry – and its current domain name is Hídfő.ru. The above-mentioned T-72 tank scandal constitutes a classical “active measure” utilizing a “sleeper” disinformation cell, that is Hídfő.net, and a paramilitary organization, the MNA, which have most probably been infiltrated well before the Crimean crisis, in 2012. Two years later, on October 26, 2016, a police officer was tragically shot in the head by István Győrkös – the leader of the MNA and founder of the above mentioned website – when the police raided his house in search for illegal arms and ammunition. Subsequently, investigative journalists revealed that the paramilitary MNA had been conducting airsoft drills with so-called “Russian diplomats,” – in fact, members of the Russian military intelligence (GRU). This kind of evolving liaison between the neo-Nazi MNA, its media and Kremlin figures fits perfectly into the Kremlin’s increasingly decentralized post-Crimea disinformation strategy in Central Eastern Europe based on locally operated pro-Russian new media platforms embedded into extremist political subcultures, usually espousing extreme right and extreme left ideologies, their numbers running in the hundreds in the region and around 100 in Hungary alone. Some of these websites, blogs and Facebook pages are new, while some of them, such as Hídfő, have simply been “occupied” and taken over. The more extreme and marginal the website is, the easier it is to influence it from the outside. Not only does this story of the MNA reveal the striking banality of Russian secret service intelligence operations in Hungary exploiting the extreme right, but it also presents the role of the mainstream. While this tragic event was followed by arrests and investigations, the law enforcement agencies and government politicians only focused on the extremist part of the story, and seemed to totally ignore any connections with Russia. Hídfő.ru is alive and well, spreading pro-Kremlin propaganda amplified by social media sites spreading conspiracy theories, Russian propaganda and nationalist messages. The Hungarian political mainstream’s pro-Russian media activity is crucial, since Russian state-owned media is not capable of influencing the Hungarian public deeply and directly. There is no direct Russian media presence on the Hungarian media market, since the Hungarian-speaking Voice of Russia was shut down and transformed into Sputnik in December 2014, and the Hungarian audience does not speak Russian to directly access Russian media online or via satellite. Hungary also lacks a significant Russian diaspora or Orthodox community. Fidesz announced its so-called “Eastern Opening” foreign policy after 2010 that manifested itself visibly in the bilateral deal struck in January 2014 between Russia and Hungary on the Paks II project. 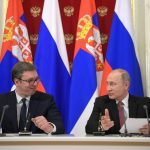 The two governments’ foreign policy cooperation has expanded to the point where Prime Minister Viktor Orbán and Vladimir Putin have held bilateral meetings every year since 2013, which is a unique performance among European leaders, especially after the Russian invasion of Crimea. The government’s centralized media production, which represented the government’s position for 95% of the time in the anti-migration quota referendum in 2016, paired with the censorship of the news programmes of the Public Broadcaster (PBS) led to the pro-Russian foreign policy of Fidesz-KDNP and other anti-Western, pro-Kremlin narratives being disseminated freely in the Hungarian public discourse. There are a few examples accurately illustrating the degree of pro-Russian bias in the public and pro-government media. For instance, at the beginning of the Maidan conflict, the Hungarian public media, echoing the Kremlin’s voice, labelled the Maidan protesters merely as “terrorists.” Furthermore, the Hungarian state-owned media, as a gesture to Moscow, is running a Russian language news programme – despite the fact that there are only a few thousand Russian speakers living in Hungary and most of them speak Hungarian fluently. But the real power of Russian disinformation in the Hungarian mainstream media is best demonstrated by the pro-Kremlin conspiracy theories disseminated by pro-government outlets about, for example, the Maidan revolution having beenbinitiated by a US- or NATO-led coup,  Malaysia Airlines Flight 17 having been “prepared” by the secret services before take-off and the crash, or Boris Nemtsov having been killed by Western intelligence agencies to cast a shadow on Putin with the aid of a “Russian fake-Kennedy” figure capable of mobilizing the opposition. The importance of these theories is more borne out of the Kremlin’s geopolitical needs and has only indirect implications or functions in Hungarian domestic politics, they highlight the Hungarian government’s political dependence on the Kremlin instead. Budapest, Hungary, 23 June 2017. Deputies vote during the session in the Parliament. The more we go to the margins, the stronger Russian influence becomes. The far-right Jobbik party, founded in 2003, followed a very obvious pro-Russian line almost from its inception, and especially after Béla Kovács, nicknamed “KGBéla” even by his own comrades within the party because of his extensive Russian ties, joined the party in 2005. He immediately became the head of Jobbik’s Foreign Policy Cabinet after, and thus turned the party towards Russia. Kovács, who was also the single biggest donor of the party in the early years, started to organize high-level meetings with Russian politicians and stakeholders for party chairman Gábor Vona, largely thanks to the relations he accumulated as a former businessman in Russia (see below for more details). The pro-Russian stance of the party was more than strange in light of the Hungarian far-right’s traditional vehement and widespread anti-communist stance. Béla Kovács participated in the illegal Crimean secession referendum as an “independent European observer” alongside of Mateusz Piskorski, the founder and leader of the Polish Zmiana party. Jobbik worked strongly on the territorial disintegration of Ukraine as well, asking for the support of Duma lawmakers to establish Hungarian-Russian autonomy in the Trans-Carpathian region of Western Ukraine. After Béla Kovács was accused by the Hungarian authorities of spying against the European Union in favour of Russia, Márton Gyöngyösi, Vice Chairman of the Committee on Foreign Affairs in the National Assembly, Deputy Leader of the Jobbik parliamentary group stepped into his shoes to monitor the illegal Donetsk People’s Republic’s referendum in 2014 and “parliamentary election” in 2015, also accompanied by Mr. Piskorski. In his open letter to the peoples of Ukraine Gábor Vona underlined the importance of “national self-determination” and accused the Ukrainian government of committing crimes against humanity after coming to power with a bloody coup financed by the USA. Moreover, Jobbik has long agreed with Russian disinformation claiming that Ukraine’s territorial integrity is just an “illusion” and Hungary should refrain from supporting Kiev to remain “neutral” in the conflict. It does not do so in the case of the Syrian conflict, though. Media close to Jobbik supported the Russian military intervention on the side of Bashar al-Assad and the Russian anti-terrorism narrative in general. Finally, the Belarusian activist Alexander Usovsky’s files revealed Jobbik and the paramilitary and revisionist The Sixty-Four Counties Youth Movement (Hatvannégy Vármegye Ifjúsági Mozgalom – HVIM) may have been part of Russian active or disinformation measures for years, and might have been paid by Russian stakeholders to stage anti-Ukrainian protests. 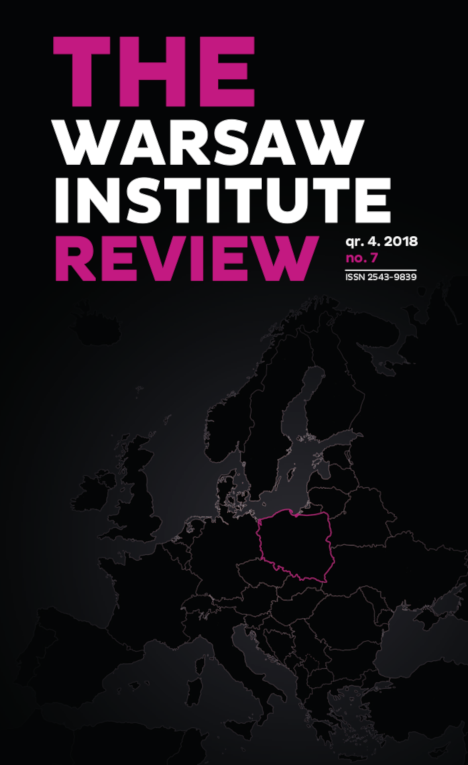 Political Capital Institute’s analyses highlighted that the Kremlin has systematically reached out to far-right, extremist, paramilitary political actors in Hungary and the region. The role of extremist organizations became much more important after the Crimean annexation. 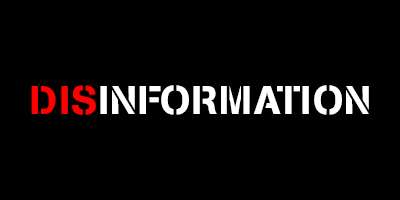 gathering information and spreading disinformation. These efforts are nothing new. 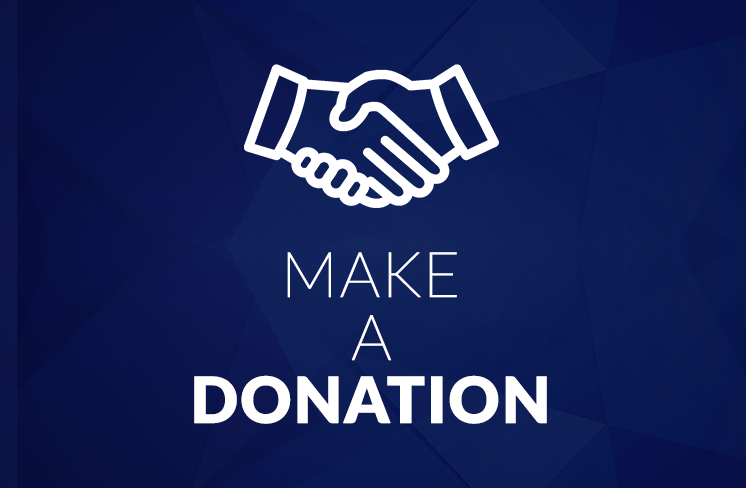 For example, the Hungarian People’s Welfare Alliance (Magyar Népjóléti Szövetség – MNSZ), led by a well-known far-right figure, Albert Szabó, used every public appearance after 1994 to campaign against Hungary’s future NATO and EU accession, and endorsing the “Euro-Asian” alliance. Even back then, there were strong suspicions about his relations with Russian secret services. These suspicions were amplified a few years ago, when he popped up among a group of pro-Russian propagandists aiming to organize a welcome march for Vladimir Putin’s visit in Hungary in 2015. Official countermeasures against the Kremlin-led disinformation (or the Russian influence) in Hungary are practically non-existent, given the government’s pro-Russian stance and the part it plays in the Russian propaganda activities. When it comes to the official documents, both Governmental Decree 1035/2012 on Hungary’s National Security Strategy and Governmental Decree 1139/2013 on Hungary’s Cyber Security Strategy mention the threat posed by information warfare as a national security challenge to the country, however, no measures have been enacted to counter such threat or name Russia as a primary problem in this respect. The government have recently expelled some pro-Russian right-wing extremists from Hungary without any justification – most likely responding to pressure exerted by NATO allies. The MNA scandal revealed that there is not political will to put up a fight against Russian activities threatening Hungarian national security in individual cases. 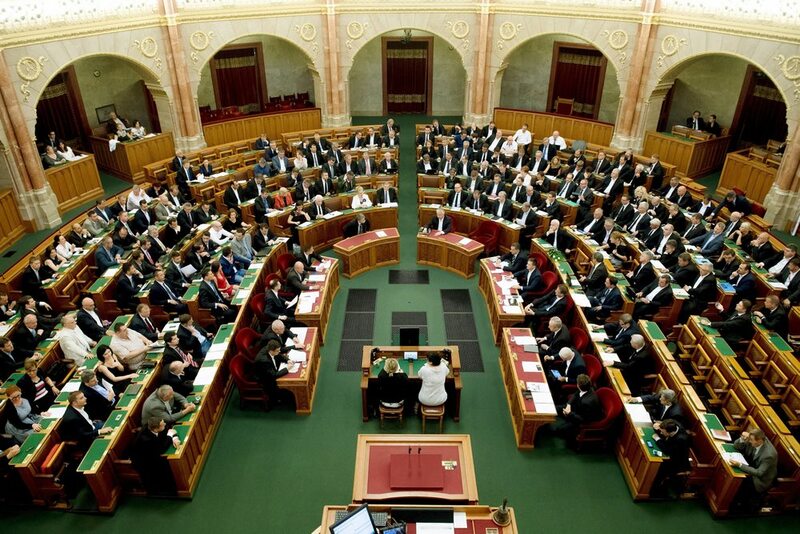 Although the Committee on National Security of the Hungarian parliament put the MNA’s connections to the GRU on its agenda, the Hungarian police is apparently closing down the investigation without raising a word about the issue of interference by foreign intelligence agencies. The case of Béla Kovács case is also being prolonged and the Hungarian authorities seem to be surprisingly slow in the matter. Unlike Mateusz Piskorski, Kovács has not been arrested since being indicted in 2014 and he has been operating in Brussels and Hungary freely despite the EP having lifted his immunity – and despite having obvious links to Russian secret services. As a cherry on top, the same investigative journalist has revealed the MNA was not only in contact with the GRU, but Béla Kovács, and his Russian wife Svetlana was on good personal terms with the family of the group’s leader. How Vulnerable Are the Visegrad Four Societies?, GLOBSEC, April 11, 2017, https://www.globsec.org/news/vulnerable-visegrad-four-societies/, accessed October 16, 2017. Russia Says Weapons Supplies to Ukraine by EU Countries Violate Arms Trade Treaty, Sputnik International, August 15, 2014, https://sputniknews.com/politics/20140815192053875-Russia-Says-Weapons-Supplies-to-Ukraine-by-EU-Countries-Violate/, accessed October 16, 2017. Külföld – Moszkva Ukrajnai Fegyverszállítással Vádolja Magyarországot, Index, August 15, 2014, http://index.hu/kulfold/2014/08/15/moszkva_fegyverszallitassal_vadolja_magyarorszagot/, accessed October 16, 2017. Attila Juhász, Lóránt Győri, Péter Krekó, András Dezső, I Am Eurasian The Kremlin Connections of the Hungarian Far-Right, Political Capital, March 2015, http://www.politicalcapital.hu/wp-content/uploads/PC_SDI_Boll_study_IamEurasian.pdf, accessed October 16, 2017. Far-Right Murder of Hungarian Police Officer: Pro-Russian Radicalization in the CEE, Political Capital, November 4, 2016, http://www.politicalcapital.hu/news.php?article_read=1&article_id=320, accessed October 16, 2017. Dezső András, Panyi Szabolcs, Orosz Diplomaták Gyakorlatoztak a Rendőrgyilkos Brigádjával, Index, October 27, 2016, http://index.hu/belfold/2016/10/27/orosz_hirszerzok_gyakorlatoztak_a_rendorgyilkos_harcosaival/, accessed October 16, 2017. Attila Bátorfy, Zsuzsa Szánthó, Bivalybasznádi Álhírvállalkozók És Oroszország Magyar Hangjai, VS, April 7, 2016, https://vs.hu/kozelet/osszes/bivalybasznadi-alhirvallalkozok-es-oroszorszag-magyar-hangjai-0407, accessed October 16, 2017. GLOBSEC Trends 2017: Mixed Messages and Signs of Hope from Central and Eastern Europe, GLOBSEC, August 1, 2017, https://www.globsec.org/publications/globsec-trends-2017-mixed-messages-signs-hope-central-eastern-europe-2/, accessed October 16, 2017. Péter Krekó, A Magyar Szakadék, HVG, June 28, 2017, http://hvg.hu/hetilap/2017.26/201726_a_magyar_szakadek, accessed October 16, 2017. For defunct Hungarian Voice of Russia see, Oroszország Hangja, http://hungarian.ruvr.ru/, accessed October 12, 2017, http://hungarian.ruvr.ru/, accessed October 16, 2017. The Paks II nuclear project is about building a new nuclear power plant to substitute the the Paks I nuclear bloc that was originally constructed with the assistance of the USSR back in 1982. The Paks II plant’s construction is set to begin in January 2017 by Rosatom and it is funded by a Russian loan worth EUR 10 billion.Christian Keszthelyi, “PM’s Office Declares Paks II Deal Classified, The Budapest Business Journal, January 8, 2015, https://bbj.hu/economy/pms-office-declares-paks-ii-deal-classified_90486, accessed October 16, 2017. Media Bias in Hungary During the Referendum, Campaign on EU Refugee Quotas, Mertek Media Monitor, October 4, 2016, http://mertek.eu/en/2016/10/04/dri-mertek-study-media-bias-hungary-durning-referendu-campaign-eu-refugee-quotas/, accessed October 16, 2017. Belső szerkesztői utasításra nem szerepelhetnek gyerekek a köztévé menekültes anyagaiban, 444, August 25, 2015, https://444.hu/2015/08/25/belso-szerkesztoi-utasitasra-nem-szerepelhetnek-gyerekek-a-kozszolgalati-teve-menekultes-anyagaiban/, accessed March 31, 2017. Katri Pynnöniemi, András Rácz, Report – Fog of Falsehood: Russian Strategy of Deception and the Conflict in Ukraine, The Finnish institute of International Affairs, May 10, 2016, http://www.fiia.fi/en/publication/588/fog_of_falsehood/, accessed October 16, 2017. A Legnépszerűbb Orosz Összeesküvés-Elméletek a Magyar Kormánypárti Sajtóban, PC blog, July 13, 2016, https://pcblog.atlatszo.hu/2016/07/13/a-legnepszerubb-orosz-osszeeskuves-elmeletek-a-magyar-kormanyparti-sajtoban/, accessed October 16, 2017. László Tóth Gy., A Magára Hagyott Ukrajna, Magyar Idők, March 29, 2016, http://magyaridok.hu/velemeny/a-magara-hagyott-ukrajna-524623/, accessed October 16, 2017. Gyula Máté T., Moszkvai Jalta, Magyar Hírlap, February 6, 2015, http://magyarhirlap.hu/cikk/16617/Moszkvai_Jalta, accessed October 16, 2017. Ma Reggel, M1, October 27, 2014, http://nava.hu/id/1991378/, accessed October 16, 2017. Gyula Máté T., Lövések És Köd, Magyar Hírlap, March 2, 2015, http://magyarhirlap.hu/cikk/18641/Lovesek_es_kod, accessed October 16, 2017. A Legnépszerűbb Orosz Összeesküvés-Elméletek a Magyar Kormánypárti Sajtóban. Elfogadták a Civiltörvényt, a Célba Vett Szervezetek Ellenállást Hirdetnek, HVG, June 13, 2017, http://hvg.hu/itthon/20170613_Megszavaztak_a_civiltorvenyt_Orbannal_tiltakozott_Szabo_Timea, accessed October 16, 2017. Márk Herczeg, Polt Péter Legfőbb Ügyész Az Orosz Kollégájával Tárgyalt Moszkvában, 444, January 18, 2017, http://444.hu/2017/01/18/polt-peter-legfobb-ugyesz-az-orosz-kollegajaval-targyalt-moszkvaban, accessed October 16, 2017. Gábor Medvegy, Nem Csak Putyin, Az Orosz Pátriárka Is Budapestre Jön, 24, January 8, 2017, http://24.hu/belfold/2017/01/08/nem-csak-putyin-az-orosz-patriarka-is-budapestre-jon/, accessed October 16, 2017. World Congress of Families XI, Budapest Family Summit, May 27, 2017, https://www.budapestfamilysummit.com/en/may-26-friday/, accessed October 16, 2017. Viktor Orbán, Orbán Viktor Beszéde Lámfalussy Lectures Szakmai Konferencián, Miniszterelnok.Hu, January 23, 2017, miniszterelnok.hu/orban-viktor-beszede-lamfalussy-lectures-szakmai-konferencian/, accessed October 16, 2017. Attila Juhász, Lóránt Győri, Péter Krekó, András Dezső, I Am Eurasian, The Kremlin Connections of the Hungarian Far-Right. 7. Kovács Béla, Jobbik, May 13, 2009, https://jobbik.hu/rovatok/ep-lista/7_kovacs_bela, accessed October 16, 2017. Az országnak szüksége van Paks bővítésére, Jobbik, January 21, 2014, https://jobbik.hu/hireink/az-orszagnak-szuksege-van-paks-bovitesere, accessed October 16, 2017. István Marnitz, Jobbik-Gázkonferencia a Gazprommal, NOL, November 15, 2013, http://nol.hu/gazdasag/jobbik-gazkonferencia_a_gazprommal-1426445, accessed October 16, 2017. Vona Gábor a Lomonoszov Egyetemen tartott előadást, Jobbik, May 21, 2013, https://jobbik.hu/hireink/vona-gabor-lomonoszov-egyetemen-tartott-eloadast, accessed October 16, 2017. 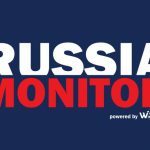 The Russian Connection, The Spread of pro-Russian Policies on the European Far Right, Political Capital, March 14, 2014, http://www.riskandforecast.com/useruploads/files/pc_flash_report_russian_connection.pdf, accessed October 16, 2017. Europejska Mieszanka Lewacko-Nazistowska w Służbie Kremla. Wśród Nich Polacy, Niezależna, March 17, 2014, http://niezalezna.pl/52986-europejska-mieszanka-lewacko-nazistowska-w-sluzbie-kremla-wsrod-nich-polacy, accessed October 16, 2017. Anton Shekhovtsov, Pro-Russian Extremists Observe the Illegitimate Crimean ‘Referendum,Anton Shekhovtsov’s Blog, March 17, 2014, http://anton-shekhovtsov.blogspot.com/2014/03/pro-russian-extremists-observe.html, accessed October 16, 2017. Moszkvába ment az autonómiáról tárgyalni Vona Gábor, Jobbik, June 19, 2014, https://jobbik.hu/hireink/moszkvaba-ment-az-autonomiarol-targyalni-vona-gabor, accessed October 16, 2017. Moszkvába ment az autonómiáról tárgyalni Vona Gábor. Keleten Senki Nem Bízik Orbánban, 444, March 30, 2015, http://444.hu/2015/03/30/jobbik-kulpol-gyongyosi, accessed October 16, 2017. Gábor Vona, Nyílt Levél Ukrajna Népeihez, Mandiner, February 7, 2015, http://mandiner.hu/cikk/20150207_vona_gabor_nyilt_level_ukrajna_nepeihez, accessed October 16, 2017. Határozott, kemény program, nyugodt, higgadt erő, Jobbik, February 2, 2015, https://jobbik.hu/hireink/hatarozott-kemeny-program-nyugodt-higgadt-ero, accessed October 16, 2017. Orosz Gépekkel Is Támadja Mától a Szíriai Hadsereg Az Iszlám Államot, Kuruc.Info Hírportál, September 24, 2015, https://kuruc.info/r/4/148829/, accessed October 16, 2017. András Dezső, Szabolcs Panyi, Jobbikos Politikusnak Fedte Fel Magát Az Orosz Propagandaoldal Újságírója, Index, November 3, 2016, http://index.hu/belfold/2016/11/03/azt_sem_kepes_megvarni_hogy_hatalomra_kerulunk/, accessed October 16, 2017. Péter Krekó, Lóránt Győri, Edit Zgut, From Russia with Hate, Political Capital, April 28, 2017, http://www.politicalcapital.hu/pc-admin/source/documents/PC_NED_summary_analysis_EN_20170428.pdf, accessed October 16, 2017. Az Oroszbarát Szélsőséges Csoportok Aktivitása Közép-Kelet-Európában, Political Capital, April 28, 2017, http://www.politicalcapital.hu/hireink.php?article_read=1&article_id=934, accessed October 16, 2017. András Dezső, Putyin Érkezése, Szabó Albert Újra Aktív, Index, February 10, 2015, http://index.hu/belfold/2015/02/10/putyin_erkezese_szabo_albert_ujra_aktiv/, accessed October 16, 2017. “Ez a háború nem a magyarság háborúja, Jobbik, August 9, 2014, https://jobbik.hu/hireink/ez-haboru-nem-magyarsag-haboruja, accessed October 16, 2017. Fegyveres Ukrán Szervezet Fenyegette Meg a Jobbikot És a HVIM-Et, Alfahír, April 24, 2015, https://alfahir.hu/fegyveres_ukran_szervezet_fenyegette_meg_a_jobbikot_es_a_hvim_et, accessed October 16, 2017. Richi Tóth, Sándor Jászberényi, Tyirityán: Nem Tartjuk Orbánt Közellenségnek, 24, November 23, 2016, http://24.hu/kozelet/2016/11/23/tyirityan-nem-tartjuk-orbant-kozellensegnek/, accessed October 16, 2017. A Kormány 1035/2012. (II. 21.) Korm. Határozata Magyarország Nemzeti Biztonsági Stratégiájáról, Magyar Közlöny, 2012/19 edition, accessed October 16, 2017, http://2010-2014.kormany.hu/download/f/49/70000/1035_2012_korm_hatarozat.pdf, accessed October 16, 2017. Government Decision No. 1139/2013 (21 March) on the National Cyber Security Strategy of Hungary, The European Union Agency for Network and Information Security, March 21, 2013, https://www.enisa.europa.eu/topics/national-cyber-security-strategies/ncss-map/HU_NCSS.pdf, accessed October 16, 2017. Christian Keszthelyi, Ex-BNP Extremist Expelled from Hungary, Budapest Business Journal, May 26, 2017, https://bbj.hu/politics/ex-bnp-extremist-expelled-from-hungary_133451, accessed October 16, 2017. János Szemán László, Lezárult a Nyomozás a Bőnyi Rendőrgyilkosság Ügyében, Magyar Idők, July 19, 2017, http://magyaridok.hu/belfold/lezarult-nyomozas-bonyi-rendorgyilkossag-ugyeben-1967407/, accessed October 16, 2017. András Dezső, A Glorious Match Made in Russia, Index, September 28, 2014, http://index.hu/belfold/2014/09/28/a_glorious_match_made_in_russia/, accessed October 16, 2017. European Parliament Lifts Immunity of Jobbik MEP Béla Kovács, Politics, July 2, 2017, http://www.politics.hu/20170602/european-parliament-lifts-immunity-of-jobbik-mep-bela-kovacs/, accessed October 16, 2017. A Kémügyről Nem Is Kérdezték Kovács Bélát Az Ügyészségen, HVG, July 19, 2017, http://hvg.hu/itthon/20170719_A_kemugyrol_nem_is_kerdeztek_Kovacs_Belat_az_ugyeszsegen, accessed October 16, 2017. The great escape of ‘KGBéla’, Hungarian MEP Accused of Spying for Russia, Vsquare, October 4, 2017, https://vsquare.org/the-great-escape-of-kgb/, accessed October 16, 2017.